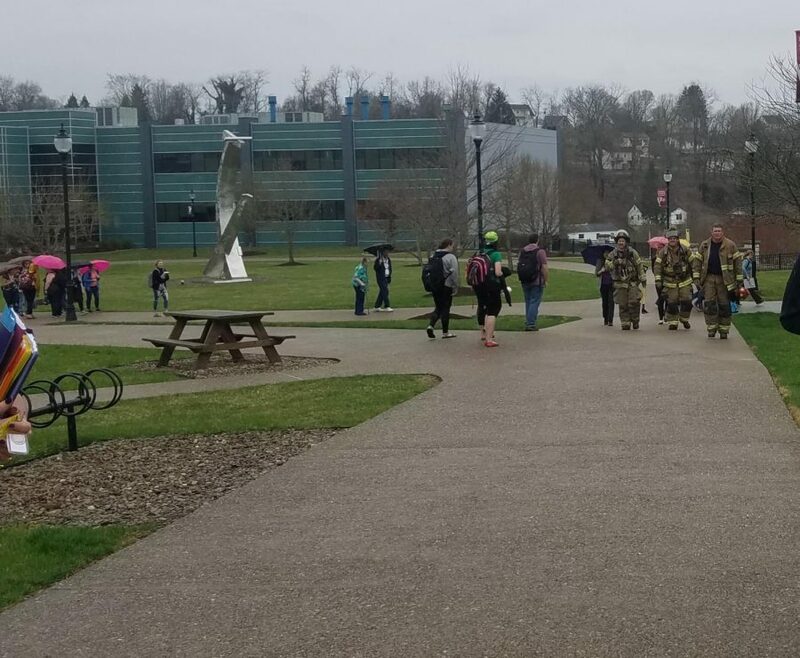 The unusual site of a fire truck and ambulance screaming onto campus, along with faculty and students standing outside of Hunt Haught Hall in the gentle rain, caused a bit of excitement Monday evening around 4:40 pm. No one who left the building knew what was going on, just that the fire alarm had been tripped. Fairmont’s Fire Engine 41, a 2007 Small Advantage Class-A custom pumper, capable of carrying 500 gallons of water and pumping 2,000 gallons of water per minute, answered the call. 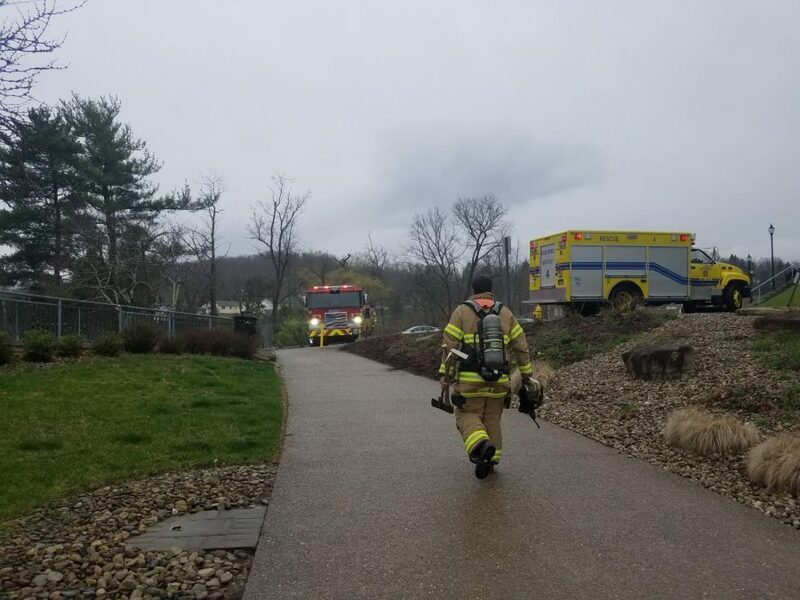 Accompanying Engine 41 was Rescue 4, a 2001 GMC C-6500, carrying equipment for confined-space rescue, structural rescue, and basic haz-mat control. Several firefighters entered the building and quickly determined that it was a false alarm. Faculty and students were permitted to return and the excitement was, fortunately, over. Firefighters leaving after false alarm.